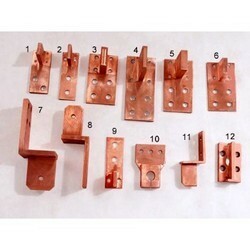 We are a leading Manufacturer of copper machined parts, copper cable, copper rod, bus bar connector, copper forgings and forged parts from Mumbai, India. With the valuable assistance of skilled team of professionals, we are offering an extensive range of Copper Machined Parts. The offered parts are manufactured with the help of quality approved copper and contemporary tools in adherence to set industrial norms. Our offered parts are widely used for connecting purpose in converters. 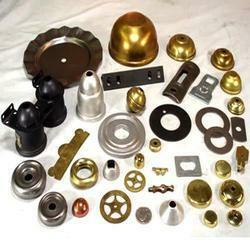 Clients can avail these parts in various specifications as per their requirements. Backed by a diligent team of professionals, we have been able to manufacture Copper Cable. The offered cable is fabricated with the help of supreme quality metal and sophisticated machines in compliance with set industrial norms. We offer this cable in various specifications for our clients to choose from. Clients can avail this cable from us at market leading prices. 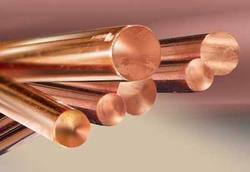 Leveraging on our vast industrial experience in this domain, we are committed towards offering wide gamut of Copper Rod. The offered products are manufactured using supreme quality copper and advanced tools in compliance with set industrial norms. Our offered products are widely used for various purposes in number of electrical devices. We offer these products in various customized options as per the information laid down by our valuable clients. Our organization has successfully expanded its business in market owing to the offered elevated quality array of Bus Bar Connector. 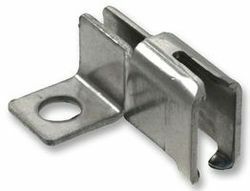 As the name implies, offered connector is used in bus fitting applications for connectivity. The offered connector is manufactured utilizing superior quality raw-material and the latest technology. Moreover, a team of our quality controllers conducts a series of quality tests on the entire range to seek out any possible defect. In tune with industry standard, we provide the entire range in various customized options and industry leading prices. Forging is a manufacturing process involving the shaping of metal using localized compressive forces. Copper Forging is often classified according to the temperature at which it is performed: cold , warm , or hot forging. Copper Forged parts can range in weight from less than a few grams to a few metric tons. 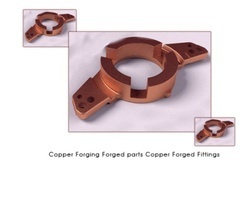 Copper Forged parts usually require further processing to achieve a finished part. We have our own Copper forging and machining service where we use high quality Copper alloy forging and offer Copper cold forging, Copper hot forging, Warm forgings, upset forging, open and closed die forging and other forgings.We also offer CNC machined Copper forged components and Copper forged parts. 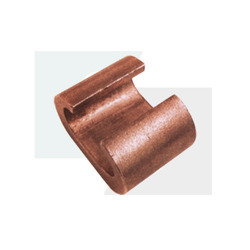 Available with us is a comprehensive array of Copper Connectors, which is available in various sizes and thicknesses. Manufactured in compliance with international quality standards, the range that we are offering is extensively used for electrical applications. Besides, the connectors include in our range can be custom designed as per the specifications detailed by the valuable clientele. we are involved in manufacturing a broad range of copper connector busbars, which finds applications in commercial and industrial buildings for electrical uses. Designed using quality copper, our range is widely used in low & medium voltage switchgears, busway systems, panel boards and switchboards. Along with this, the range supplied by us can be used in low voltage distribution, high current and control equipment. Copper forgings also have the ability to function at high operating temperatures‚ higher loads and increased stress applications and as a result are prevalent today in many industrial processes. The structural reliability achieved by the forging process is unmatched by any other metalworking process. There are no internal gas pockets or voids in forged material so, unexpected failure under stress or impact is greatly reduced. 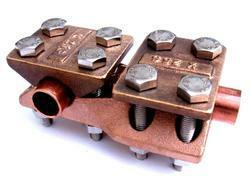 As such‚ there is a high degree of safety associated to the use of forged copper material. Additionally‚ this structural reliability contributes to faster production rates and lower costs due to reduced inspection requirements‚ uniform response of the copper to heat treatment and the consistent machinability of forged copper.